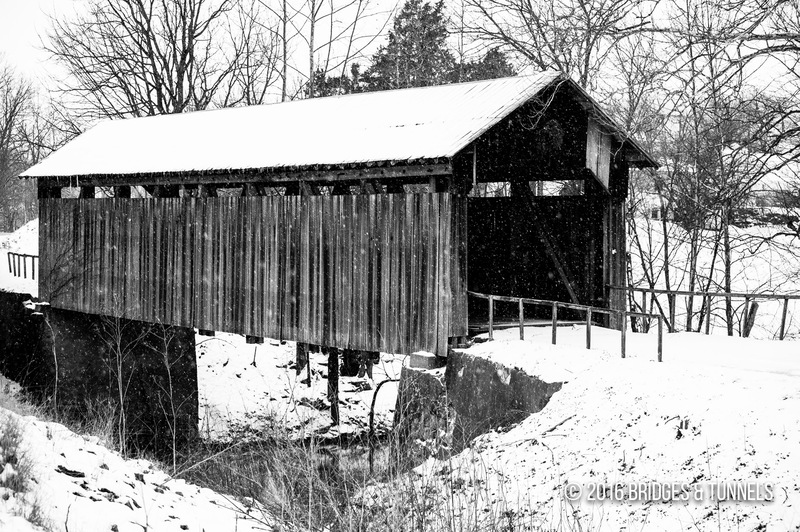 Constructed circa late-1860’s, the crossing featured yellow pine timber with double-shouldered braces.1 It was bypassed in 1968 when a new alignment of KY 111 was completed. Johnson, John. 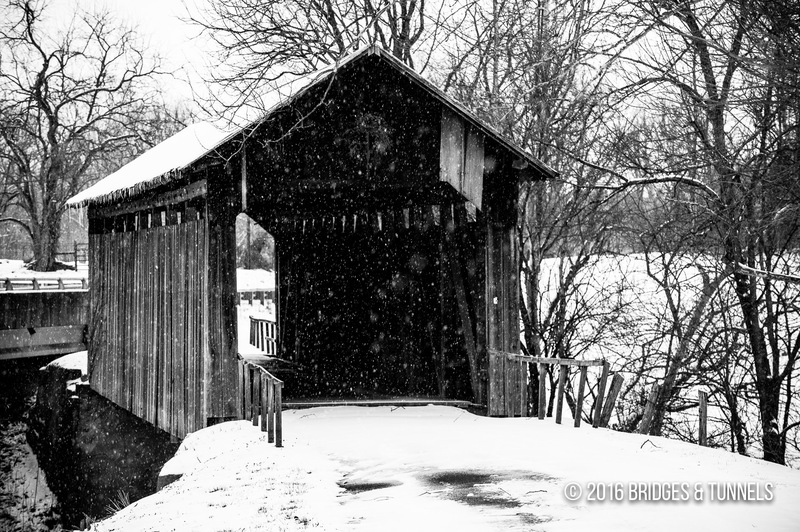 Hillsboro Covered Bridge. Washington: United States Department of the Interior, 1975. Print.